At the law offices of the Cohen Law Partners in Los Angeles, California, we take bicycles seriously. We take bicycle accidents even more seriously. That is why cyclists throughout the Los Angeles metro come to us when they have been injured in a cycling accident. 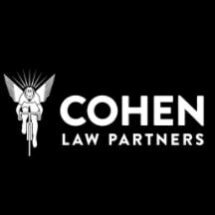 Josh Cohen, the Los Angeles bicycle attorney, offers free initial consultations and accepts all major credit cards for his clients' maximum convenience. However, our bicycle accident and other personal injury clients never pay a legal fee unless and until we succeed in recovering compensation for them by means of an advantageous settlement or a hard-fought jury trial with desirable verdict.